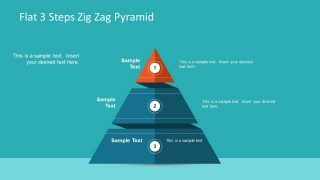 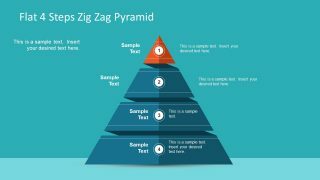 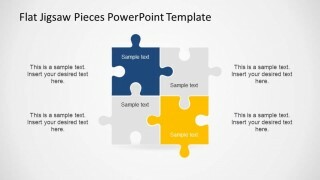 Editable Flat Jigsaw Pieces PowerPoint Template is a professional presentation with different shapes of jigsaw pieces. 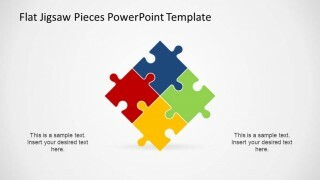 Connected in different ways, the puzzle pieces theme the presentation. 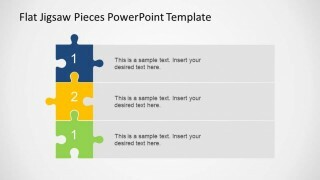 The user can use jigsaw pieces as topics, or relevant markers. 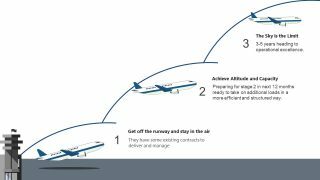 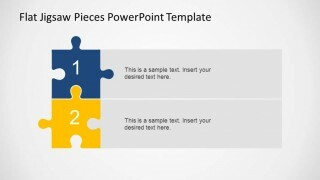 Also, creative designs of one, two, three and four steps diagrams are provided, to cover each jigsaw pieces topic. Each puzzle piece is created as a PowerPoint shape. 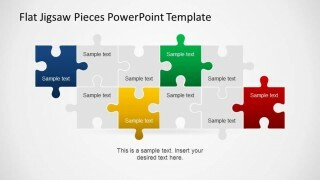 The user can change, color, size, aspect ratio, 3D effects, shadows and glow. 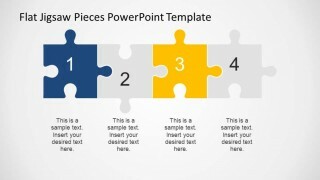 The interlocking editable flat jigsaw pieces PowerPoint Template is ideal for combining with different presentations. 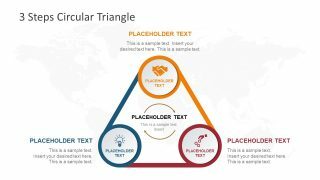 The quality of the shapes and the generic theme are usually flexible to complement existing presentations. 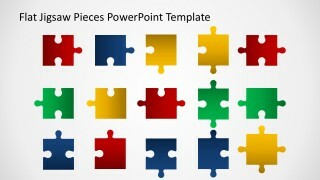 Play with your imagination, use this joigsaw pieces in your presentation and impress tour audience.